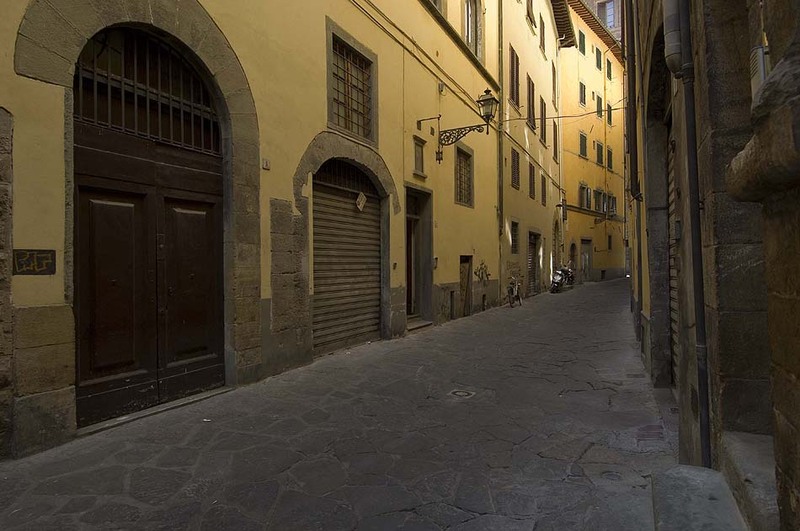 At the heart of the enchanting old centre of Florence, the gates of Casa del Pendolo await you. 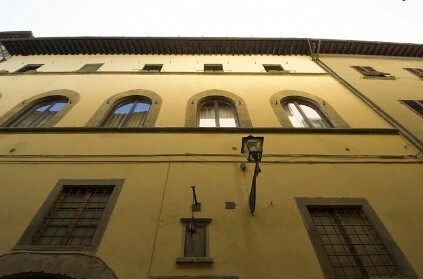 A fourteenth-century Renaissance palace houses this very attractive apartment within its ancient walls. 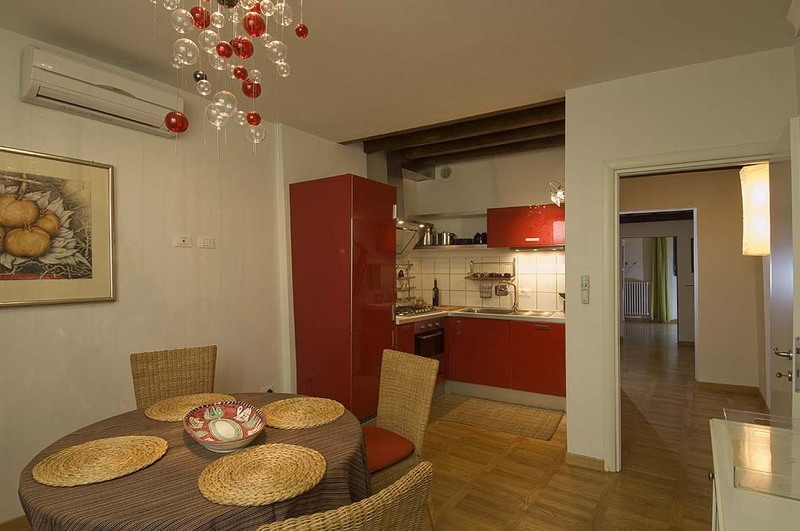 The pretty apartment offers an unusual interplay of historical and contemporary elements. Its absolutely modern décor is embedded in surroundings full of traces of times gone by – the welcoming living room, for example, is entered through a stone-edged portico with aged parquet flooring. 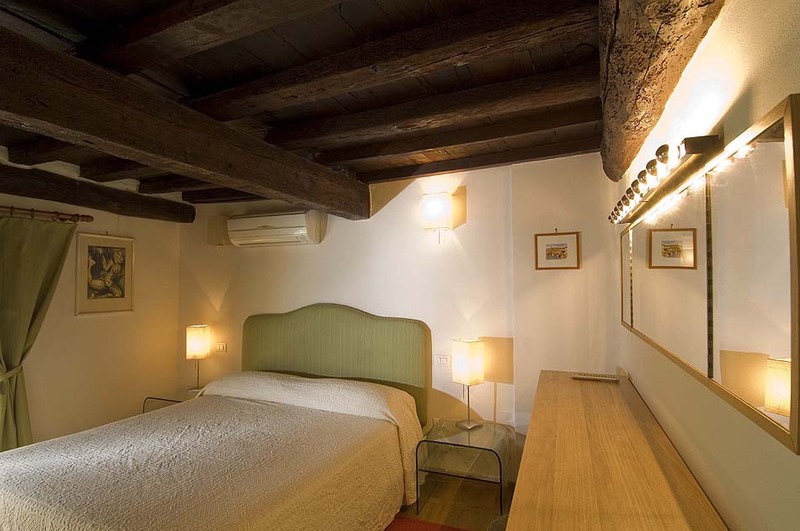 In the bedroom – decorated with exquisitely coordinated fabrics and equipped with a separate dressing room – the antique wood-beamed ceiling creates an attractive contrast to the otherwise functional minimalist look. 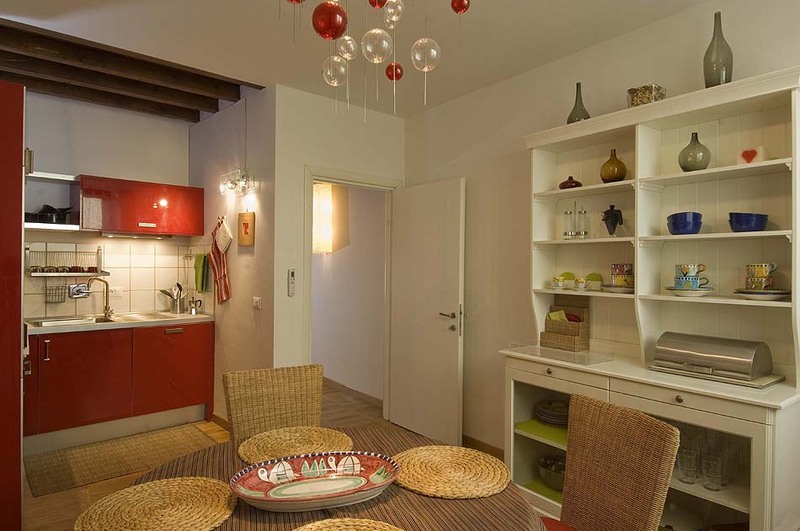 A great deal of care has gone into every detail of this apartment, from the furniture selection to the choice of warm colour tones accenting the dominant white, even down to the cheerful red kitchen fittings and accessories. 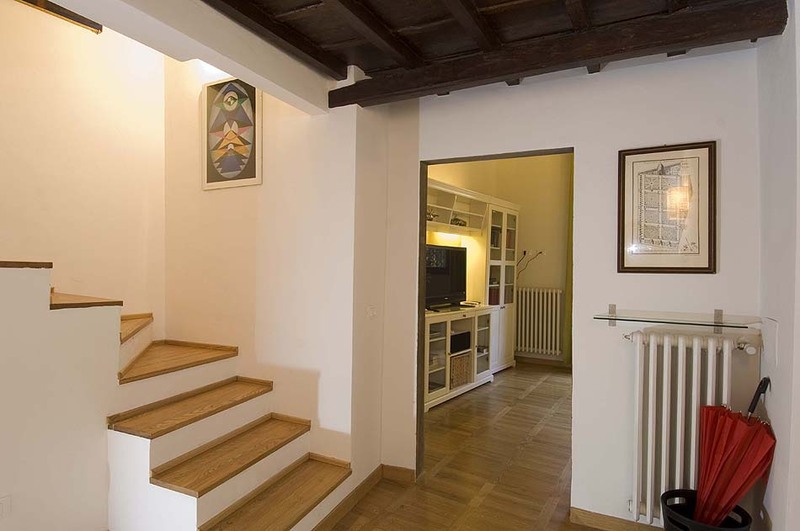 All this makes Casa del Pendolo a friendly and inviting refuge – the ideal place to relax and unwind after a day of intense experiences of the city’s historical sights. 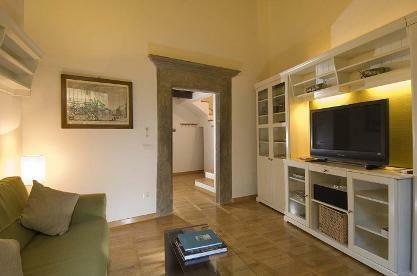 2nd F.: 1 double bedroom with wardrobe, 1 bathroom with shower.